The SENRAN KAGURA Series has tackled many a game genre but and is still finding ways to take on more. The latest is the Pinball-themed SENRAN KAGURA Peach Ball, which Marvelous Europe has announced that they are bringing to Europe and Australia this Summer. It will be available digitally on the Nintendo Switch eShop. 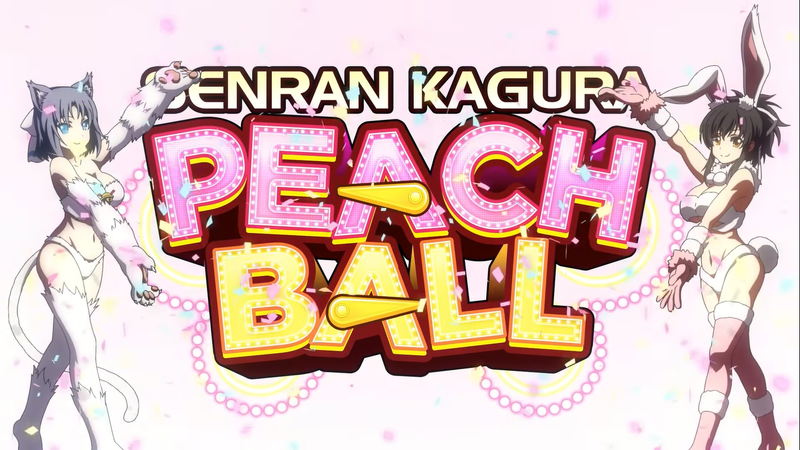 We have a trailer for SENRAN KAGURA Peach Ball and the official announcment below. Tunbridge Wells, England – 5th April 2019 – Marvelous Europe have today announced that the frantic pinball and playful fun of SENRAN KAGURA Peach Ball, the latest entry in the genre-spanning SENRAN KAGURA franchise, will be released within Europe and Australia for the Nintendo Switch digitally on the Nintendo eShop this Summer. Plunge into this new adventure and flip, bump, spin, or ricochet the Peach Ball into the shinobi to return them to their normal selves. With customizable tables, special minigames, a story mode, and fan-favourite additional modes including diorama mode and the Dressing Room, SENRAN KAGURA Peach Ball is set to be one of the hottest pinball games yet. SENRAN KAGURA Peach Ball is developed by HONEY∞PARADE GAMES, Inc. and will be published by Marvelous Europe Limited for the Nintendo Switch in Europe and Australia this summer. The title will be available digitally on the Nintendo eShop and has been rated PEGI 16, USK 18 and MA15+.